We take care of your property... so you don't have to. Millennium 2000 Realty's property management department has a thorough knowledge of landlord and tenant law in Georgia. We offer affordable residential management services that combine care, effectiveness, and quality to all of our clients and tenants. Whether you live in town or out of town we take the hassle and inconvenience out of managing your rental properties as many owners don't have the time or the desire to deal with the day-to-day issues of rental properties. 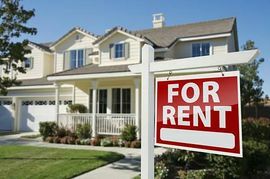 Millennium 2000 Realty has the experience needed to handle all of our rental property needs and we comply with all Federal and Local Housing Laws. Click on Property Management Service Packages above to view available packages. We draw up the paperwork for the initial lease and lease renewals. Our typical lease is for a one year term that may automatically renew the following year. Our leases incorporate the terms, rules and regulations for rental properties in Georgia. We screen tenants by performing credit checks, reference checks, employment history verification, and rental history verification. We locate tenants by advertising in MLS, local news outlets and social media. We perform move in/move out inspections on all rental properties. In addition, we perform quarterly photo inspections and provide the homeowner with pictures and summary notes. A repair escrow of $300.00 is required for minor repairs. These funds take care of minor day-to-day tenant emergencies. We encourage all of our clients to purchase a home warranty in the event of any repairs. Our in-house rental coordinator is available to handle all repair and maintenance concerns and our service providers perform quality work at reasonable prices with a quick turn around. Our management fee is 7% of the monthly rent or minimum $70. Pricing is computed based on the annualized rent from a property. For example, a home rents for $1,000 per month the Management fee is $70.00 per month. Warrants are filed if rent in full including late fees are not paid or received by the 15th of each month. We deal with attorneys, evictions and court appearances on the behalf of the homeowner. Additional fees may apply. Collect rent and forward payment to the homeowner. The cost is $50 per month deducted from the monthly rent. This service deals directly with the tenant so the homeowner doesn't have to. Rent checks are processed along with itemized statements within 48 hours of receiving the tenants rent. Late fees apply to rent received after the 5th day of each month. Direct deposit or wire transfers are made within 24 to 48 hours of tenant payment. We provide a monthly itemized statement showing rent received history, income and other expenditures. An end of the year detailed annual statement is provided for tax purposes.